I am totally obsessed with holiday recipes that feature cranberries. 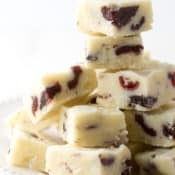 I just really love the flavor that they add to Christmas treats like breads and cookies, so imagine my delight when I realized how great dried fruit (in this case dried cranberries and cherries) could taste in a fudge recipe! 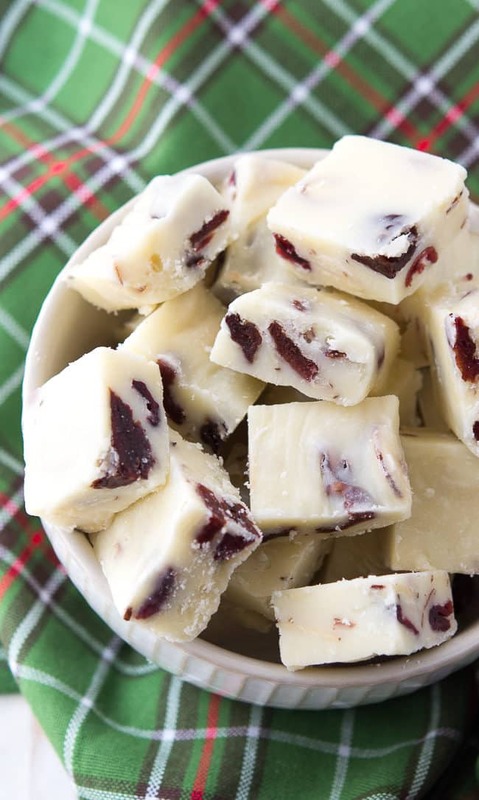 This lovely white Christmas fudge is one of my favorite holiday dessert recipes! 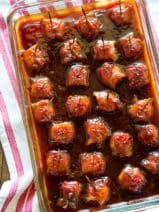 I mean, why not try a holiday fudge recipe that’s a little different this year? 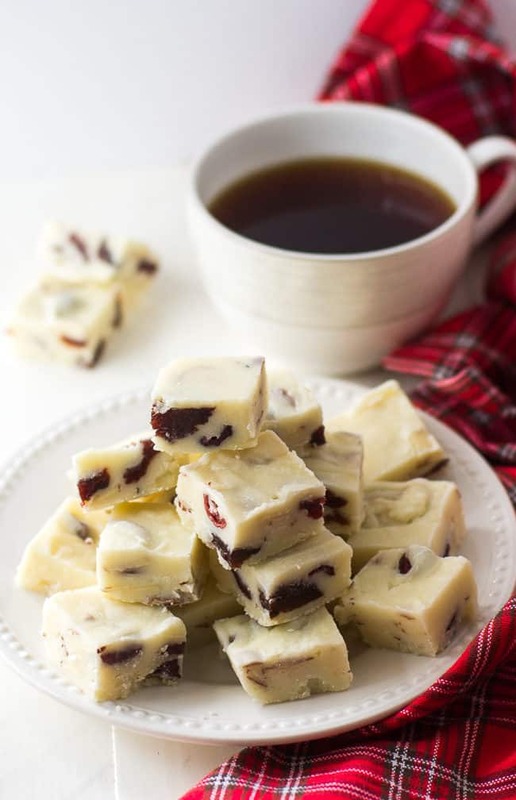 Traditional chocolate fudge recipes are always well-loved, but this white Christmas fudge has something special. Plus, it’s just so very pretty! 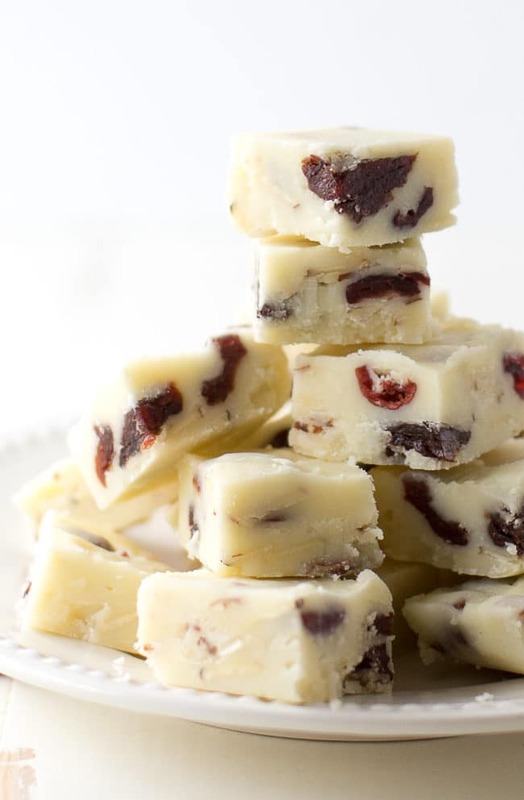 I would never have thought to add dried fruit to a fudge recipe, and the first time I tried this white Christmas fudge recipe I was a little skeptical. I just wasn’t sure if I would like this combination of ingredients! After taking one bite I was a fast fan of this sweet and delicious Christmas fudge. The dried fruit and nuts give it a wonderful texture and a bit of a crunch. 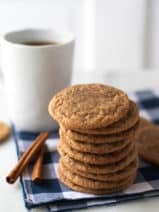 Pair that with the creamy flavor of white chocolate and you have a really wonderful little holiday dessert that will impress your guests throughout the season. Preheat oven to 350 degrees. Arrange your sliced almonds on a baking sheet and bake for 5-8 minutes, or until lightly brown, set aside. 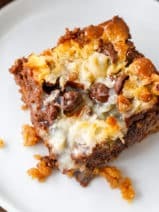 Line a 9×9 inch square baking pan with aluminum foil and grease the bottom and the sides with the 1 teaspoon of butter, set aside. In a large saucepan, combine powdered sugar, milk, and the ¼ cup butter. Over medium heat while stirring continuously, bring to a boil. Let boil for 5 minutes without stirring. Reduce heat to low then stir in the white chocolate until melted and smooth. Remove from the heat and stir in the almond extract. Stir in the almonds, cherries and the cranberries. Quickly spread into the prepared pan. 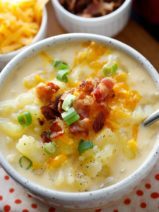 Refrigerate for 2 to 3 hours or until set. Lift out of the pan using the foil, remove foil. 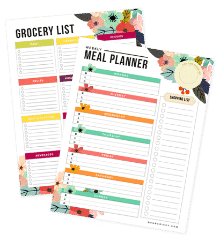 Cut into 1-inch squares and enjoy! Hi Millie, store in an airtight container! 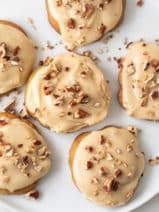 Would like to make this delicious recipe for someone with nut allergy, can you suggest a substitute for the almond extract and almonds. Sorry…meant to say that I like the addition of dried fruit. Pistachio might also go well. Love your blog.